Photography - Trial and Error way: Video Recording With A DSLR- Is it worth it? This is a million dollar question: Why should I use my SLR for HD Video? If you search online, you will come across conflicting opinions and misleading reviews. You will get confused in the end. On this page I am going to tell you in a few minutes what you really need to know about video recording with various types of cameras and camcorders and I will also provide you some tips on how to take professional looking HD videos with a DSLR. When it comes to video recording, you really have 4 options: Use your smartphone, use a compact point and shoot camera, use a camcorder or use a digital SLR. Let us look at pros and cons for each one of them. The biggest benefit with using a smartphone like an iPhone or an Android phone is the convenience and ease of use. You have your iPhone or Android phone all the time. Take your smartphone out of your pocket and press a button or two and you are in business. Now if you are watching your iPhone videos on your iPhone, I am sure you will be happy with the recording. If the light is good, your smartphone camera will do a good job. Plus, the screen on most smartphones is so bright and optimized, your videos will look nicer on that tiny 4 inch screen. If you download to your PC or upload it on Youtube, probably you will not be that happy with the quality. Also try using your smartphone in dull light and you can get frustrated. In dull or low light, most smartphone are almost unusable for video recording. In short, in good daylight or for situations where we really don't need to have very high quality videos, your smartphone is an excellent and very handy tool to capture videos. How does a camera compare to a smartphone with regards to video quality? Not much difference as such. In low light, you camera may do a bit better than a smartphone though. Most smartphones don't have any zoom but most cameras have. So a camera can help you zoom in and take close up videos. However there are two important things. Try to avoid zooming in or out while you are recording. This can add some noise in your recording plus focusing issues can ruin your video. Also, if you zoom in too much, the shake can become too obvious so a tripod is recommended to avoid any shake. Smartphones and compact cameras have tiny lenses. This is an advantage as well as a limitation when it comes video recording. The limitation is that they are too small so they can't take much light in. Hence in low or dull light, they are not able to take sharp videos. Now the advantage is that they keep everything in focus so you really don't have to worry much about focusing while you are recording with your iPhone. They will always come out well. On the other end, if you compare your videos with professionally taken videos, you will notice that smartphone videos are flat and boring. You can't get any background blur or can have subject stand out in the videos. Let us not forget that many times we want to capture precious moments or some events in our videos. This is mostly for personal use or for sharing with friends and families. Content here is more critical and if think your camera is doing a good job, you are all set IMO. Videos with HD Camcorders or pocket cams like Sony Bloggie or FlipHD. We don't see many video camcorders these days after iPhone and other smartphones started offering video recording. As they are dedicated video recorders, they do a bit better job but their quality is not much different. Everything always in focus. Flat videos. Now you can buy expensive Canon, JVS or Sony HD camcorders for videos. They offer stunning 30-50x zoom with very useful shake reduction. Naturally, their videos will be better than videos taken with any smartphone or any compact digital camera. The drawback is they are bulky and not much convenient. You don't get much improvement in quality too unless you are spending $4000 upwards. With most consumer camcorders, you really can't keep certain things in focus and other things blurred. Unless if you have noticed, most HD camcorder videos are plain and boring. If you are fine with this, they can be a good choice for you. You can find some good ones around $200-$500 range. For most of people, a smartphone or a compact camera is enough for capturing videos. However if you like to capture long videos or if you are a person who prefers video recording to photo shooting, a dedicated camcorder is a good choice. Compared to a phone or a P&S camera, a DSLR will do a better job at recording videos in most situations. As they have bigger sensors and lenses, they are able to capture light quickly and can offer some capabilities for selective focusing too. With selective focusing, you have to be careful about focusing capabilities of your camera and also your skills. If it is not focused properly, your videos can sometimes be worse than an iPhone video! Most older DSLRs and many new ones too don't auto focus during video recording. SLR cameras normally use phase-detection for focusing during photos but this can't be used for videos (because of the mirror which needs to be flipped for focusing). Now some DSLRs offer contrast based focusing in video which is not that accurate but it does work. You can bypass this limitation with a mirror-less camera like Panasonic G or GF series which can auto focus. What makes a movie or documentary video recording better than our video recording? It is mainly the background blurring. I mean selective focusing where only subject is in focus to grab all of your attention. There is no other distraction in the frame. With SLR, this is possible because of large sensors and bigger (I mean wide aperture) lenses. However most kit lenses have f number 3.5 or higher. They really don't open much so it is difficult to be able to get selective focusing. So if you want to take HD as well as HQ (High Quality) videos, you will need some fast lenses. These are the lenses with F1.8 or F1.4. With such lenses, you can really see the advantages offered by DSLRs for video recording. Now this advantage comes with one responsibility. Focusing becomes very very critical. This is the reason many professional photographers use manual focusing. Many serious Canon users use Canon full frame cameras with some wide aperture, fast lenses.Search for Super Takumar F1.4 videos with Canon on the Internet and you will know how good job DSLRs can do when it comes to video recording. Why use Manual focus while shooting video? Now as DSLRs offer us nice focusing and background blurring, there comes one problem. Many people get annoyed when they hear that camera does not AF during video. However you shouldn't want your camera to auto focus because you want to decide where to focus. In a scene with say 3 people, you want to focus on the person who is speaking but the AF in the camera may decide to focus on the quiet person instead!! This will be a disaster. AF is fine with video recording with compact cameras or camcorders because they keep most of the scene in focus! With SLR, you can get a movie like effect with very selective focusing. 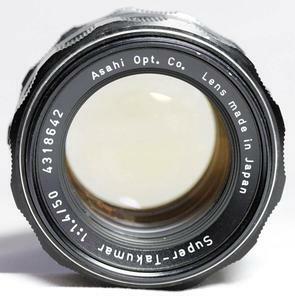 Most movies or documentaries are shot with Manual focusing. Many of professionals specifically use Manual lenses with manual focus and one favorite is Super Takumar 50mm F1.4 lens. Here are some benefits of using manual focusing during video recording with DSLRs. Motors of auto-focus lenses create some hissing sound during focusing which can create bad audio in your recording. The Autofocus may not work in low light and the focusing motor may keep trying ruining your recording. Also there are times when AF doesn't focus correctly. Auto focus as name mentions auto-focuses so if you want to have only person A in focus out of a group of 5 people, you really can't do it on the fly. If want to focus only specific area while shooting video, you can't do it unless you manually focus for it. Also, most auto focus lenses don't let you change aperture on the fly to control depth of field. Old lenses like, Super Takumar, let you control focus, aperture very smoothly. I am not an expert but here is one video I recorded in low indoor light with Panasonic GF3 and a Super Takumar lens. I am still learning manual focus so please bear with me. However I am sure this group of 6 year old kids running/traveling with the ball will not fail to entertain you. If you are short on budget but want to take nice videos, you can buy a Pentax K-01 body for around $300. Buy a Super Takumar M42 lens for around $100 with an adapter for Pentax. Once you get hold of the manual focusing, you will be amazed how beautiful videos you can take with a DSLR compared to compact cameras or most consumer SLRs with kit lens. Even with those HD camcorders.